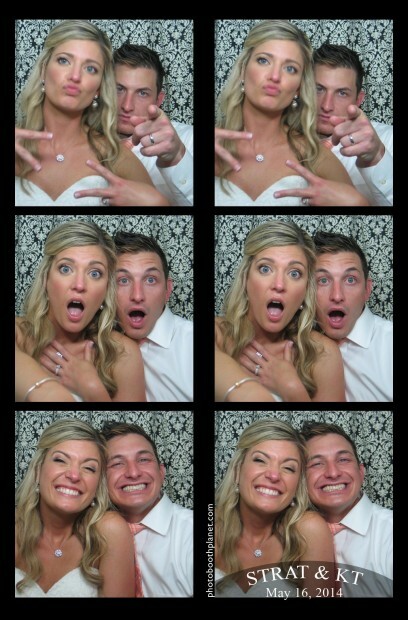 Photobooth Planet is a leader in photo booth rentals for weddings and other events. Covering the entire Northeast, our group of locally owned boutiques ensures high quality and exceptional service. Whether you need to rent a photo booth for your wedding, Bar/Bat Mitzvah, fundraiser, prom, or corporate event… we’ve got you covered. Chloe the VW Photobus. A photo booth inside a Volkswagon bus! Come on. Chloe the VW PhotoBus brings out the “goofy” best in our wedding guests. 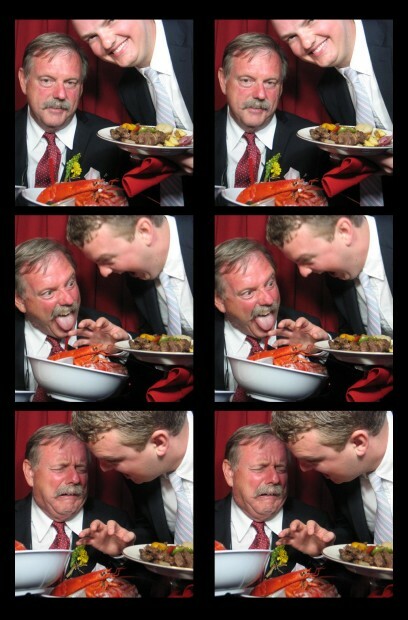 These guys at a Newport, RI wedding had a good laugh when these images popped out. In fact, that is the most common reaction to photo strips produced in our photo booths (vintage-style or VW photobus): LAUGHTER. Which is another way of saying that Photobooth Planet is in the business of creating joy. In terms of enhancing guest experience at a wedding or event – Chloe really has no equal. 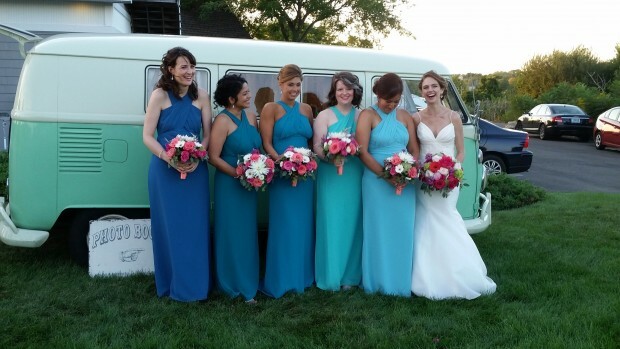 Guests are delighted when they see a sea-foam green, 1967 Volkswagen bus rolling up to your event. Then we open the doors and invite guests not only in, but in to create and capture memories that will last a lifetime. Bride and bridesmaids coastal Connecticut wedding. Vintage-style photo booth rental. These lovely women (the bride is in the middle) created a magical series of black and white photos. Particularly the last one which captures the warmth and affection of their friendship. This wedding was held at Barberry Farm in Madison, Connecticut. 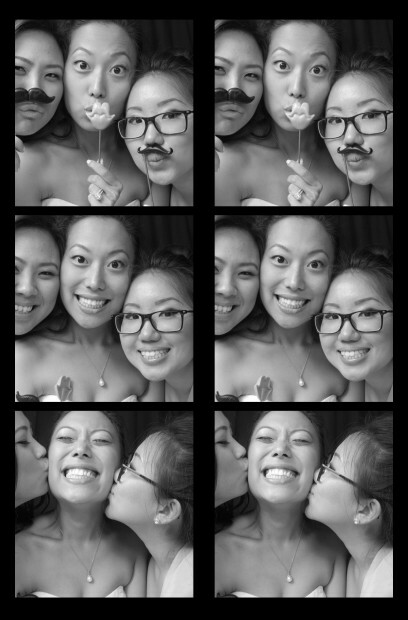 The classic photo booth rental at this wedding succeeded in our goal of both creating and capturing memories. Photos like these are then glued into a photo guest book provided and assembled by Photobooth Planet. Our attendants are trained to encourage guests to write funny/meaningful/clever messages in the book which the bridal couple receive at the end of the night – along with a flash drive with all the digital images. Photobooth rental New Haven, CT wedding. Vintage-style photo booth. What is there really to say about this photo-strip. It’s perfect. These images combine the intimate details of this wedding in New Haven, Connecticut (they served lobster. LOBSTER!) with wedding guests revealing the full range of emotion embodied in their personalities. Clever, boys. Very clever. And remember what I said about not going overboard with the props. 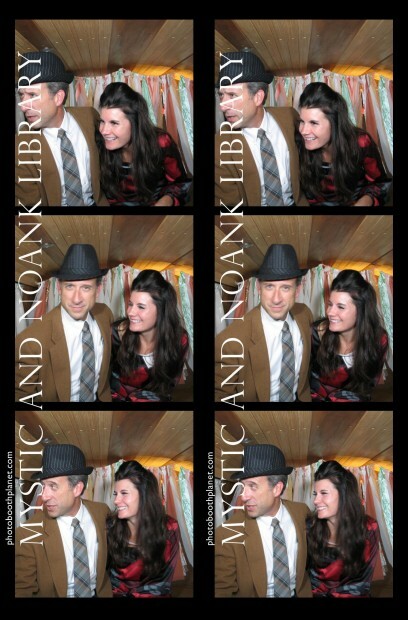 The vintage-style photo booth works because when the curtain closes magic happens. These guys got creative because there weren’t a bunch of boas and tacky hats to distract them. Family photo in vintage-style photo booth rental for a Connecticut birthday party. 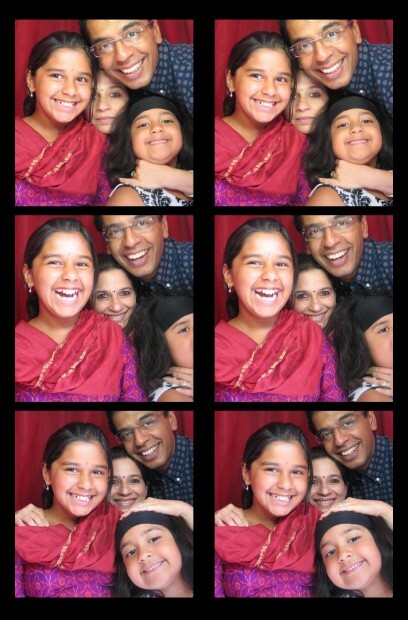 It always makes us happy to see a family bonding in the photo booth. Besides, having a current, hard copy of a family photo is very rare these days. Sure, an iphone pic of the fam is nice and all – but try hanging it on the fridge! The colorful attire in this photo in front of the classic, burgundy curtain really makes the images pop. One of the main things we believe sets Photobooth Planet’s vintage-style photo booths apart is their ability to create and capture high resolution, flattering images. It’s one of the first things guests comment on when their photo strips appear – not only how clear they are but how good they look in them. Dogs in photo booth. Photo booth rental Newport RI wedding. Recently my Photobooth Planet – New England facebook page was over-run with posts about a Pet Adoption agency that used a photo booth to capture funny pictures of their dogs. They got some great shots. 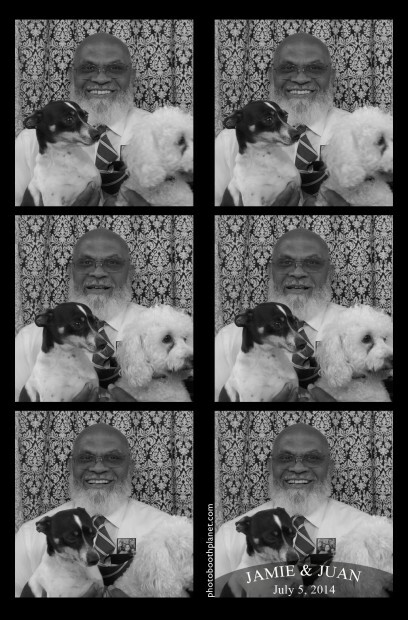 Here we have a guest at a wedding in Newport RI using our vintage-style photo booth rental to show off his pups. I think they look a little nervous. They are clearly looking to someone outside the booth for help. I liked this photo-strip though because it highlights the creativity of guests when there aren’t a lot of official “photobooth props” provided. 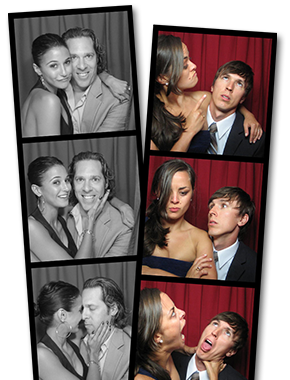 We have a minimal prop philosophy at Photobooth Planet because our goal is to make a super-awesome photo guestbook. Too many props and you don’t even know in the pictures. And, as shown in the photo-strip above – it opens the door for a level of guests creativity/ingenuity that makes for some very memorable shots. No, believe it or not, that is not Don and Megan Draper. It is Photobooth Planet owners, Geoff and Val Gordon. They were dressed in their grooviest attire for a 70’s themed gala event to benefit the Mystic and Noank Library. This photo-strip was taken inside Chloe the VW PhotoBus. We drove it right inside the venue, the Velvet Mill in Stonington Boro, CT and the guests had a ball. Sure it’s a little self-indulgent to put ourselves into the photo-strip hall of fame, but it a good series of pictures capturing one half of a scintillating conversation that was happening between Geoff and Val and some anonymous guests at the party. I believe that is what they call in the industry, a candid. Big Crowd in the photo booth rental at Mystic Connecticut wedding. 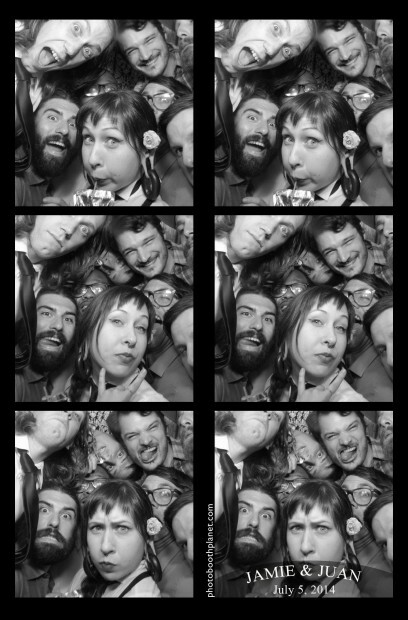 I think the title of this one should be “How Many Hipsters Can You Fit in a Photo booth?” By my count is at least nine full or partial faces represented. Including one dude who is completely upside down. Impressive! People often ask how many folks can fit inside – and I always say 8 or so – but I always know that with a little orchestration and grit we could probably fit ten or more. This group at a Connecticut wedding were clearly comfortable enough with eachother to pile into the photobooth rental – although I think things felt a little awkward once they all got out. The band in the photobooth. Newport, Rhode Island Photo booth rental. These guys at a Newport RI wedding really nailed it. If that isn’t their next album cover I don’t know what to say. I suppose it could work as their Christmas card. Either way if they’re not going to bring it to the public, I will. It’s always fun to get the wedding reception band in front of the camera. 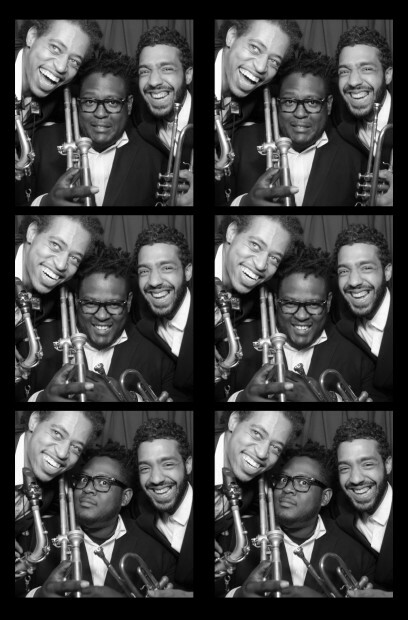 Here we have the brass section bringing the good time vibes to the photo booth. We try to get as many vendors in the photobooth as we can – they always write most random captions in the photo guest book. That’s right folks – it’s time again for our annual Photo-strip Hall of Fame countdown! 2014 provided a fantastic batch of zany/beautiful/hilarious/memorable/touching photo booth images. We’ve culled the photobooth event archives and assembled quite a collection. 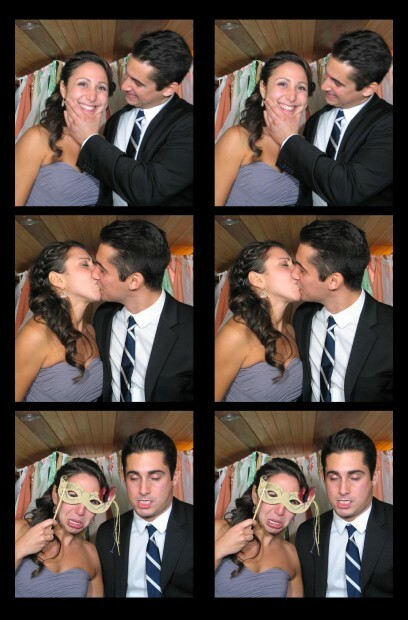 Most of these images were came from photo booth rentals at weddings in Connecticut (CT) and Rhode Island (RI). 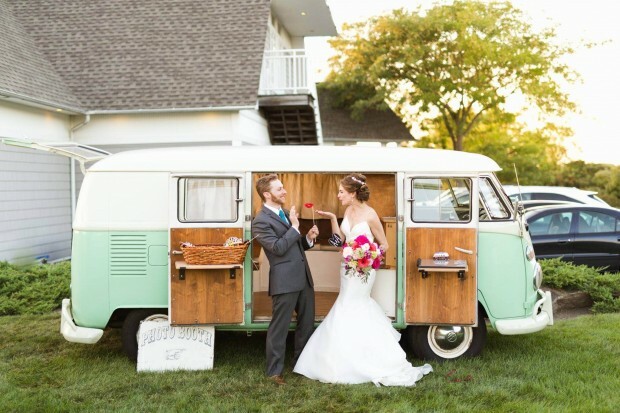 This year, in addition to images collected from our vintage-style photobooths, we have a few that were created inside Chloe, the VW Photobus. So. Without further ado…here is #10. This gorgeous bride and groom chose to go with our damask print curtain and boy did they have their poses DOWN! Clearly, in addition to their choreographed first dance routine – they had been practicing their photo booth poses. Like a good three act play – their strip began with an intimidating threat, followed by a shocking reveal, and wrapping up with a happy ending – just the way we like it. Open air photo booth or enclosed? Chloe the PhotoBUS: Up Close! Each location is locally owned and operated.